Imagine if that local bank was located right on your high street because your local post office was now also a branch of the country’s biggest and most helpful banking chain: the Post Bank. Labour is proposing a network of Post Banks. Of course, that’s not – yet – how things are. Instead, the banks are understandably distrusted. They crashed in 2008 because they weren’t regulated properly, plunging the country into recession and causing hardship to hundreds of thousands of people in the UK. 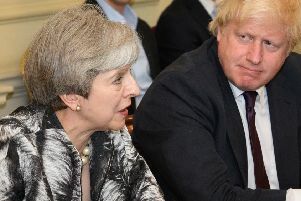 Labour avoided a global economic catastrophe by preventing a further crash but the incoming Conservative-led coalition refused to fix the structural issues in our economy, which caused the damage in the first place. Instead they slashed public services. Ten years on and I’m afraid to say not much has changed. Rebecca Long Bailey is the Shadow Business Secretary. The UK economy is still over-reliant on London, on financial services and the banking system. It still does not work in the interests of people and ordinary businesses. One and a half million adults do not have a bank account in the UK and those that do are finding it harder and harder to access banking services. Nowhere is that more shockingly clear than on the high street. The UK has lost nearly two-thirds of its bank and building society branches over the past 30 years. For nearly a fifth of us now, it’s a full two miles from home to our nearest branch. 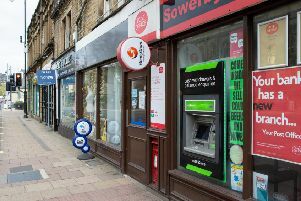 In Yorkshire alone, almost 300 bank branches have closed in just over three years. Some people say online banking can fill their place, but 3.8 million UK households do not have internet at home and 12 million people live in rural or remote areas with poor internet access. Banking online isn’t a credible options for many: they need high street banks. Another key reason that our high streets are failing is large post offices have also been disappearing. The Government owns the Post Office but it has pursued a ‘modernisation programme’ that has involved closing down standalone post office branches, and popping a post office counter in a retail store. The last five years has seen the number of the largest post offices plummet by 40 per cent. Bank branch and post office closures threaten our high streets and deprive communities of an essential service and damage the local economy – and some of the rural towns and villages of Yorkshire have been hit especially hard. That is why Labour is proposing a new way to bank – a publicly-owned banking system that will tackle financial exclusion, provide small businesses with the finance they need, secure the future of the Post Office and ensure these anchors of the high street are here to stay. Labour’s Post Bank will be run through the post office network. Turning post offices into banks on our high streets will ensure every community has easy access to face-to-face, trusted and affordable banking. We will create 349 Post Bank branches in Yorkshire, and 10 times that number around the country, giving the Post Bank the largest network of all UK banks. It will offer banking services to individuals and relationship banking with small businesses as one of the faces of our regional development banks. As well as the Post Bank, Labour will create a £250bn National Investment Bank that will lend to small businesses and make sure overdue infrastructure upgrades actually happen. A network of Regional Development Banks around the country will fund and invest in small and medium-sized businesses, they will make sure the infrastructure we all rely on gets built and they will support innovation so our economy gets upgraded and the industries of the future benefit our children. Labour is going to fundamentally reform the UK’s banking system, ensuring everyone can access to finance and supporting our economy to grow in a sustainable way. Banks don’t have a great reputation, but we rightly trust and cherish our post offices. Labour’s Post Bank will save our languishing post offices, and make sure that high street banking is for the many, not the few. Rebecca Long Bailey is a Labour MP and the Shadow Business Secretary.